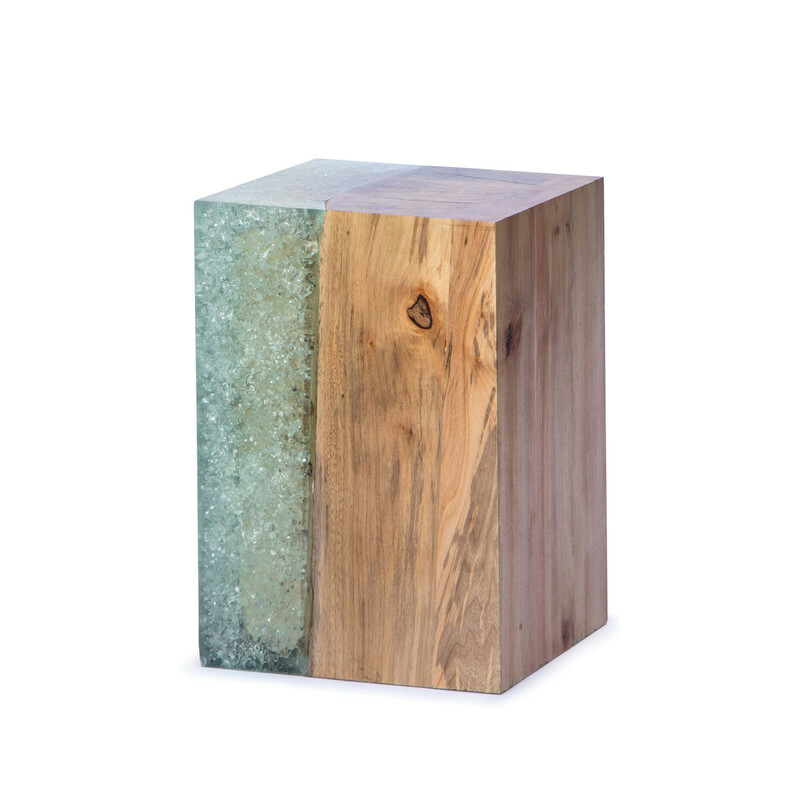 Raw wood and glass. Wood Finishes are often purposely distressed and not guaranteed to be a perfect match. Variations in color, texture and shading are not considered a defect.